During a divorce proceeding, one of the most important issues to resolve is whether or not one spouse is entitled to ongoing support. Alimony, known in Illinois as maintenance, can be awarded by the court under certain circumstances, or it can be negotiated between the two parties. 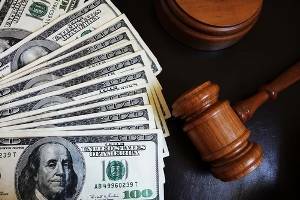 Whether the issue is settled inside or outside the courtroom, it is important to have a seasoned alimony and maintenance lawyer by your side advocating for your interests. At Mevorah Law Offices LLC, we have over 35 years of experience representing clients for all types of divorce and family law issues in Illinois. Our award-winning attorneys have an established track record of success securing favorable outcomes for our clients. As members of the Super Lawyers and National Association of Distinguished Counsel’s Nation’s Top One Percent, we are proud of the recognition we have received from our colleagues for these accomplishments. 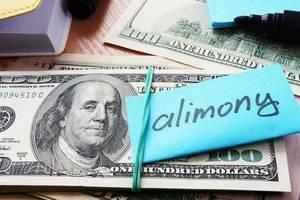 Our attorneys have in-depth knowledge of alimony and maintenance issues. We are skilled at negotiating and litigating spousal support during a divorce, including the potential tax benefits of unallocated maintenance. We put this experience to work to aggressively advocate on behalf of the interests of our clients. Career sacrifices made by one spouse for the sake of the marriage. If the court decides to award maintenance and the combined income of both spouses is less than $500,000, the amount and duration of the award is generally determined by pre-set statutory guidelines which take into account the length of the marriage and income of each spouse. Though there is a pre-determined formula for the amount and duration of a maintenance award, the court must first determine that maintenance is appropriate before these guidelines are applicable. Because the awarding of alimony and maintenance is unpredictable, it is essential to be represented by legal counsel with strong negotiating skills and extensive litigation experience. Our number one priority is serving the interests of our clients. Our highly acclaimed attorneys are honest, approachable and dependable with an unwavering commitment to meeting your needs. We offer flexible evening and weekend hours in our five convenient locations in Northern Illinois. For a free consultation with one of our skilled and compassionate attorneys, contact our office today at 630-932-9100630-932-9100.